Amazingly, despite being a member of our fabulous Book Club for over 2 years, I’ve never set myself a reading goal. 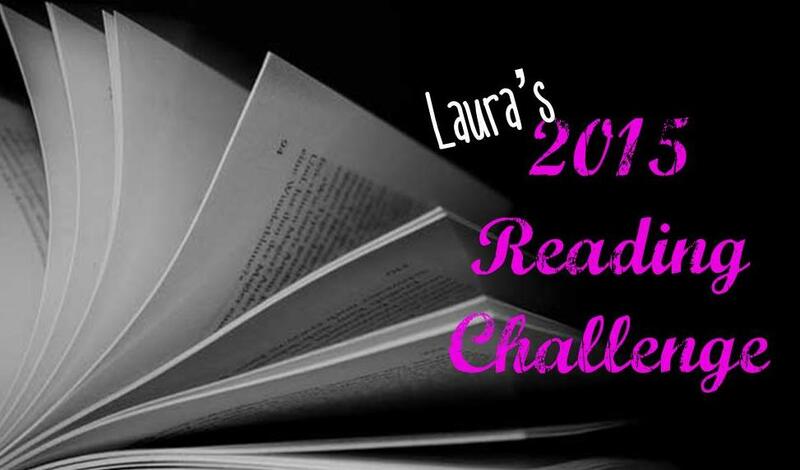 2015 is the Year of the Book, at least for us here at The Bookspa, so I am going to have a go at the Popsugar 2015 Reading Challenge. There are 52 items on the list; the equivalent to one a week (and that is maths, people) which should be quite achievable. There are a million other challenges available, but this particular list really appealed to me because it’s going to encourage me to diversify. Although my Goodreads list is pretty varied I will always go back to my beloved Historical Fiction and Fantasy if I’m feeling lazy or unimaginative, which happens more often than it should. 2014 was a pretty amazing year in my reading life. I discovered The Night Circus, fell in love with Karou and Akiva and became slightly obsessed with The Black Dagger Brotherhood. I also joined our local library, which led me to gems like Shiver, Carnival of Souls and We Are All Completely Beside Ourselves. Our Book Club has outdone itself as well, with some really diverse choices across many different genres. Thanks girls! I’ve just started The Luminaries by Eleonor Catton, and at 848 pages it’s a bit of a tome, but I will definitely be able to tick off the first item on the challenge! If you’ve set a 2015 goal of your own we’d love to hear all about it! 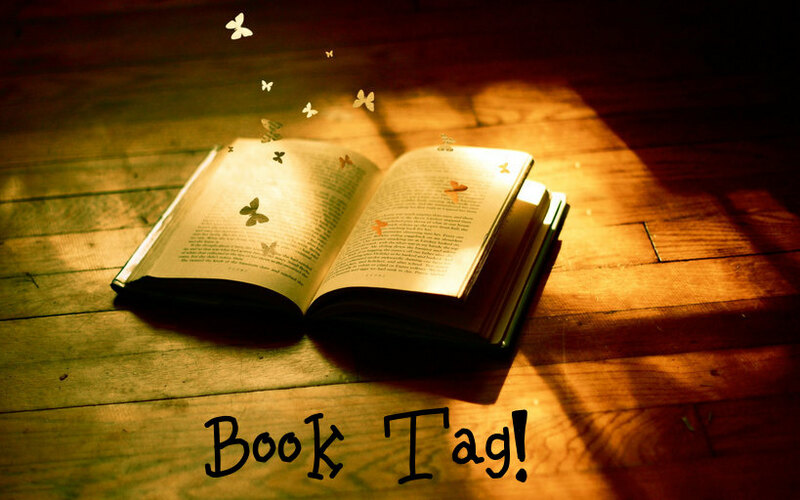 To break up the Friday Favourites a little bit, and because we couldn’t decide who got which book boyfriend, (there was a heated discussion) we’re doing a Book Tag. I know that I like finding out people’s reading habits, so here are a few questions we answered about ours. Laura – Good Omens by Terry Pratchett and Neil Gaiman. I don’t really even know why. It just makes me happy. Kiera – Book…Singular? Really? Ummmmm…. Daughter of Smoke and Bone by Laini Taylor. Shhh don’t tell the other books! L – Wow. Second question and I’m already umming. Probably Fantasy but I like Thrillers as well. Fantasy Thrillers? K – I’m going to go with Fantasy. L – Harry Potter. An obvious choice but they are all so magical. (Pun intended). What books did you hate reading in school? L – We studied Daz 4 Zoe for English GCSE – it was pretty bad. K – I can’t remember hating any of the books we had to read at school. L – We had the Ladybird book collection – I loved the Cinderella edition with her on the front wearing a pink dress. I always wanted a dress like that *sigh*. 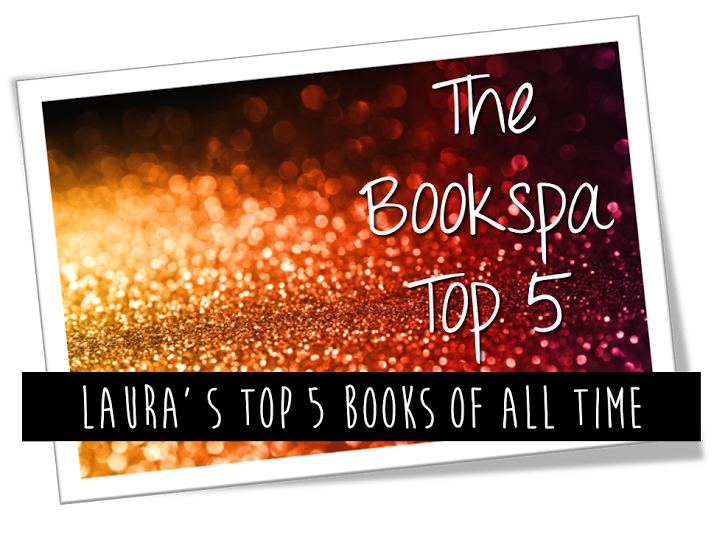 K – The first books I remember reading myself were probably Enid Blyton Books. It would have been either The Famous Five or The Faraway Tree, but I can’t remember which one I read first. Oooh! Or The Wind in the Willows by Kenneth Grahame. L – Kiera you buy books from libraries! I would say Bookstore. Especially the really old ones that smell amazing and have wonky floors. Mr B’s anyone? K – Both? If I had to pick one, could I cheat and say libraries and then still order books online? L – Nowhere near as many as I would like. K – Almost 400. Plus 200ish kindle books. What is your most comfortable reading position? L – Curled up in a blanket on the sofa with my book on my knees. K – Sat in bed with my book resting against my knees. What is the most recent book you read? L – I’m reading Half Bad by Sally Green. What quote from any book will you never forget? Why is it significant? I just think it can be applied to everyone in a personal sense and in the wider sense of global issues. What books do you regret reading? L – I don’t regret reading books. I have been disappointed by a couple of highly acclaimed books recently (no names) but I don’t regret reading them. K – I don’t think I regret reading anything. There are a few book I wouldn’t read again though! On average, how many books do you read per year? L – Maybe 3 or 4 a month? I’m a reader, not a mathematician. K – It varies, depending on what games are out. I can’t read a book and play RPG at the same time, as I find the stories get muddled. As an average I’m going to say 52 full books. What book can you read hundreds of times and never get tired of? L – Twilight. Please don’t shoot me. Do you like to read outside? L – Yes, in my garden with a cold drink and a big hat. What’s the biggest lesson you’ve learned from a book? K – Probably to speak out. A lot issues are left not spoken about because they are taboo or sensitive subjects. I think that a lot of problems could be solved if they were just spoken about. Knowledge is power. Of the past year, what is the greatest book you’ve read? L – The Night Circus – Erin Morgenstern. Bookmark or a random piece of paper? L – I have a lovely magnetic Batman bookmark, but it’s normally a receipt or something. K – I have a pack of cards I use as bookmarks. I used to buy bookmarks all the time, and lose them just as often, so I started using cards. 52 for the price of 1. Can you stop reading anytime you want or do you have to stop at a certain page, chapter, part, ect.? L – I normally stop when I can’t keep my eyes open any more! K – I like to at least finish the page, but I can stop reading at any point. It’s a skill developed over years of falling asleep reading, and having no choice but to find the point you can last remember reading. K – Drink, yes. Eat, no. L – Yes. Although I wouldn’t choose to. K – Sometimes. It depends what I’m reading and what is going on around me. I have to start new books on my own in quiet, but once I get into the book I can read through most things. I don’t tend to put music on to read though. L – I quite often have at least 2 on the go. K – I have on very few occasions read more than one book at a time. I get the stories muddled easily, so generally I read one at a time. L – Duh – everywhere! L – I try really hard not to. K – All the time. If the characters are having a conversation I always read through the dialog and then go back and read the rest. I don’t know why, I have tried to stop doing it, but I’m just too impatient. K – New, new, new…. Please. L – Who does that? I’ll just throw this out there – this is probably my favourite book in the whole wide world. I’m not even sure what it is that I love so much – I can’t decide if it’s the characters, the storyline or the setting. It’s probably a combination of all three. As well as the sarcasm and dry humour that is abundant throughout. It just makes me feel good when I read it, like a big snuggly jumper that you still wear in summer because it feels so comforting.This was the first time I’d read anything by Neil Gaiman, and it sparked a bit of a fangirl sitch. I hope I never meet Neil Gaiman. It would be embarrassing for both of us. This is a childhood favourite for me and my brother and sister. We had a small hardback Ladybird edition, which was read to death. Even now we can still recite the lovely rhyming story. “Fast asleep was Dormouse Cottage, up on silent Sunny Hill…”Beautiful, innocent storytelling at its best. I’ve picked a specific HP book, rather than the whole series, because as much as I adore all of them this one has always been my favourite. It’s the first time you really feel that the fight between good and evil is much bigger than just Harry and He-Who-Must-Not-Be-Named. It’s also the first time Harry is really a part of a family, fighting for a cause with wizards who were there with his parents the first time round. It’s full of mystery, heartbreak and raw determination, which makes it the first really dark Potter book. I love it. If you read my review a couple of weeks ago here on the bookspa, you’ll know that I have a warm, gooey place in my heart for this beautiful book.Read my reviewJust read the book. You’ll see why for yourself. This book creeps under your skin and, like the titular circus, comes alive at night to invade your dreams. The plot centres on a terrible wager made by two old conjurers, which develops into a deep and fragile relationship between the two main characters, Celia and Marco, both of whom are vital to the continuation of the circus. Supporting Celia and Marcus is a host of unusual and unlikely characters, whose stories are all well developed and add both humour and gravity to the tale. I loved this book. It is luxurious and nostalgic, but with pace and depth that only comes from great writing. Not only is this a great book, but it’s one of the best I’ve ever read.